Friands - Saving the world from bad baking. 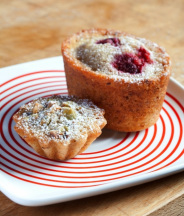 Sugarplum Bakery’s Friands are light and delicious bite size treats that taste great with either tea or coffee, any time of the day. Sugarplum Bakery also offers Chocolate & Raspberry Friands. Try our Love Friand - a big heart shaped Almond Friand that is perfect to share with friends, family or your loved one. 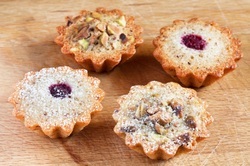 Mini Friands have a decorative flower shape and are available in all flavours. Minimum order number is 20.